A fantastic looking sideboad from our Chicago Range, great for the modern contemporary interior. For all those that love everything retro and industrial. 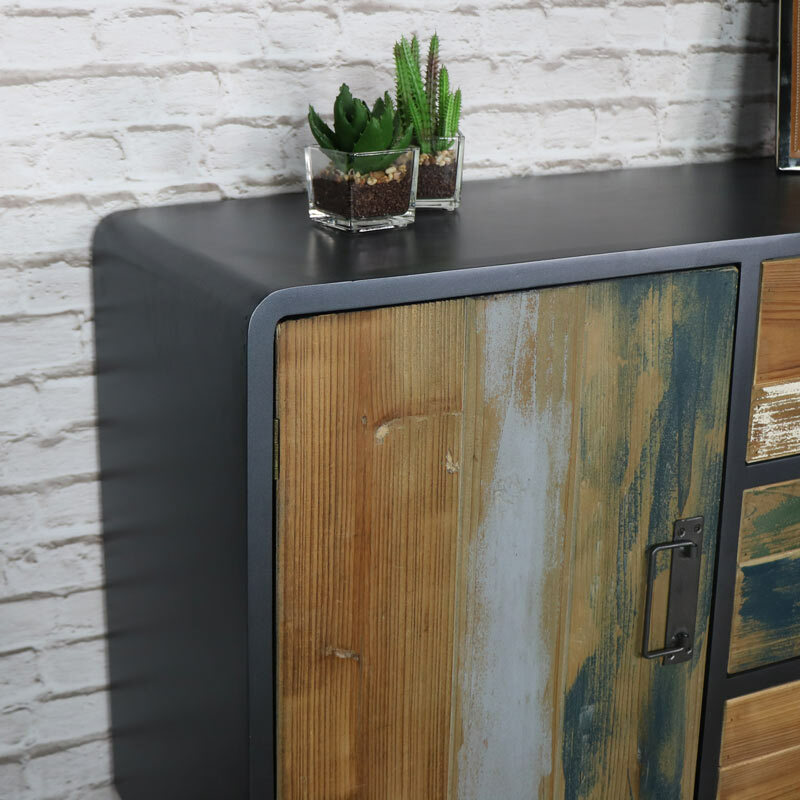 The industrial look of the Chicago Range adds a funky theme that makes the perfect statement and adds a practical funtion too. 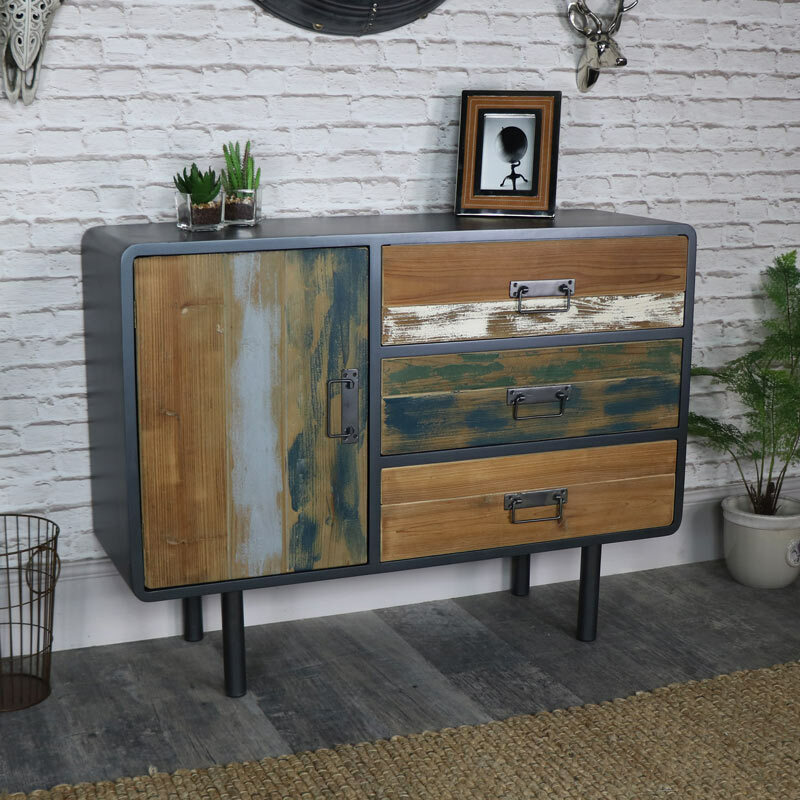 Featuring a large cupboard and 3 drawers, this sideboard is the perfect storage solution for your home and will fit perfectly in the living room or hallway. 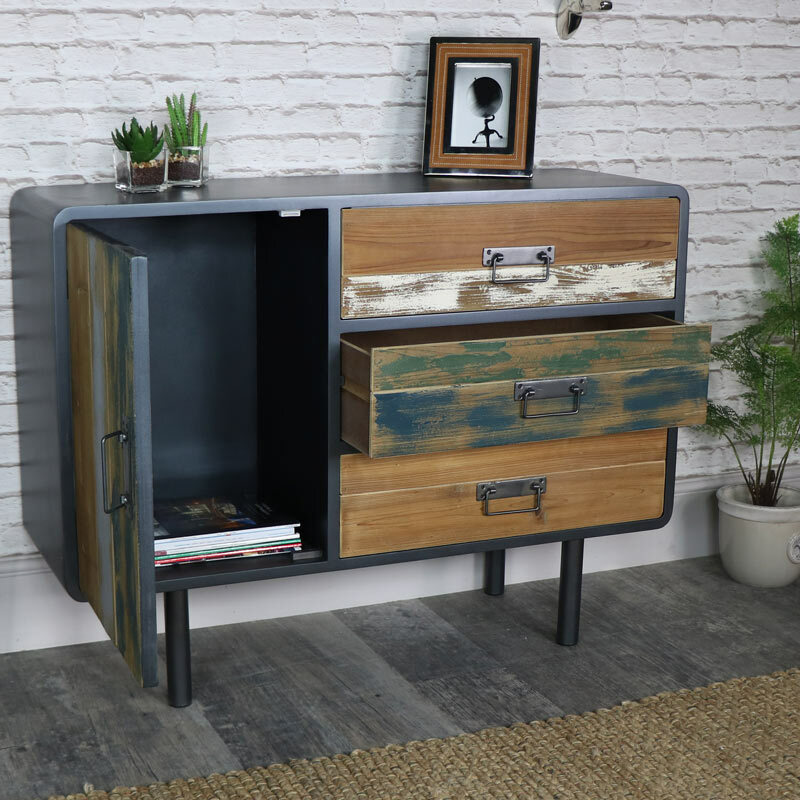 With a metal frame, in a black painted finish and fronted with heavily distressed wooden door and drawer fronts in a weathered multi-colour stripped paint effect. Drop metal handles with 4 metal pole legs complete the look.